An iPad and Apple TV can combine to provide an advantageous alternative to more expensive, traditional interactive white boards. Guest writer and High School Principal David Mahaley is using this approach and offers his insights, and observations from educators in his school. With the integration of the iPad into the instructional environment, teachers and students have discovered many new ways in which the device can expand and enhance the learning environment. With the iPad, the Apple TV can offer a flexible, complete, and cost efficient alternative to the traditional interactive boards populating our classrooms. As a school administrator and teacher, I have explored the Apple TV and its offerings as an alternative to one of the many types of interactive whiteboards currently available to instructors. We have committed our school to issuing every high school student and instructor an iPad. All instructors are expected to explore and integrate the device in their instructional setting to maximize the learning experience and student/professional productivity. Historically, we have relied upon the interactive boards as a way to infuse the technology of the computer and software to the learning objectives found in the various content areas of our curriculum. Married to this idea is the use of the laptop, that is tethered to the projection device for the board. This inherently ties the teacher to one location or space in the classroom. Immediately, this presents some problems when professional educators are asked to circulate and monitor student activity around the room. I am not looking to marginalize and discount the various software applications that can connect your mobile device to a laptop and thus to an interactive board. Interactive whiteboards are a solution, however, through my experiences, a much more cumbersome one than our exploratory use of the iPad and Apple TV. We should explore the instructional and budgetary implications of a move towards this new option. Any administrator who is charged with the responsibility of observing and commenting on teacher performance in the classroom finds themselves looking for moments throughout the class period where the instructor demonstrated their ability to circulate and monitor the students as they participate in the lesson. Freeing the instructor from the string of cords is a step in the right direction. With the Apple TV, the teacher connects wirelessly to the device and can be in any location in the classroom – in fact, they can be anywhere that they can continue to be connected to the network. Secondly, you now offer the teacher the opportunity to switch quickly and efficiently between applications via the iPad without having to dash to the front of the room to manipulate the programs on a laptop tied to a stationary location. With applications available today, and more coming around the corner, students have the capabilities to connect to the Apple TV configuration from their own device in order to share and present their own work. A quick cost comparison of the hardware and software required between the traditional interactive whiteboard and Apple TV will show the potential savings with little to no loss in quality of the final product. 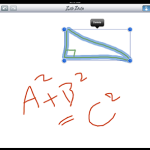 I have found that the typical interactive board with projection system and document camera runs typically three times the cost of the Apple TV combination. 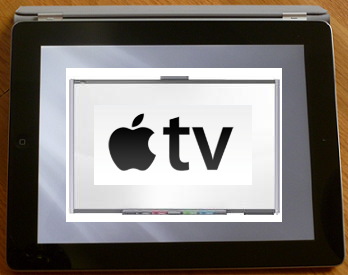 Apple TV requires the purchase of a flat screen television (wall mounted), the Apple TV box, document camera – if desired (plug and play), and the necessary connection cords. I have put together the Apple TV combination for less than $1,200 in my classrooms. My local rep waiting to sell me more interactive whiteboards has no comparative alternative that can compete with this price. Other issues begin to surface through a closer examination of the training and compatibility of the various interactive boards. To learn to use the interactive board effectively requires many hours of training, revolving around their proprietary software tools. Many of these are not directly transferable between technology platforms. The Apple TV opens the door to the instructor to use any of the thousands of applications available in the classroom without compatibility issues. 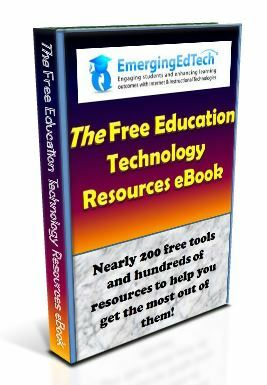 This puts the control of content and presentation back into the hands of the teacher and releases them from the limitations of proprietary software provided by the interactive whiteboard companies. I recently asked my instructors who were long standing Smart and Panaboard users in my school to come give the Apple TV a try. Overwhelmingly they believe that the applications and freedom provided by the iPad and Apple TV combination is a much better solution for their instructional needs. One asked about the software package that is touted as a key component with all of the interactive boards. While much time and effort has been spent developing these for the interactive boards, largely as a selling point by vendors to school systems, much of the offerings of the software can be duplicated by a small set of applications for the iPad available for download now. At the end of the comparison, I could not justify that the software bundle with any of the interactive whiteboards could justify the thousands of dollars difference between this and the Apple TV arrangement. It is time to get financially and instructionally “smart” in the classroom when it comes to interactivity and technology. The Apple TV, in conjunction with the use of the iPad, offers new possibilities to our teaching professionals and at a tremendous cost savings. The apple TV smart boards are awesome. 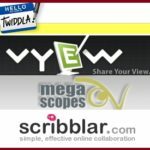 They are easy and efficient to use and navigate from one document to another. The work presentation is clear and concise . I can’t see the 45 comments, even after clicking on previous comments. I am wondering, as I didn’t see anything about it, but is the Apple TV interactive? That’s the main benefit of an interactive whiteboard. I suppose you could hand the iPad to a student to interact with it, but otherwise I don’t see how this replaces the physical engagement of the student with the activity. It is more like a projector and screen than an IWB. I just did an IPad training. It was so much fun and really can be exciting. Following is a list of apps I learned about: screen chomp, educreations, touchcast, puppet pals, sock puppet, book creator, story kit, colar mix, aurasma, and so many more. I hope something on this list points you in a good direction. I taught first & second grades using a SmartBoard for 7 years. This year I will be teaching kindergarten in a classroom that has a projector, AppleTV, & 1 iPad. 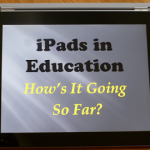 I love the idea of having the interactivity at the iPad level and look forward to creating exciting lessons for my students. That is where I need some advice. 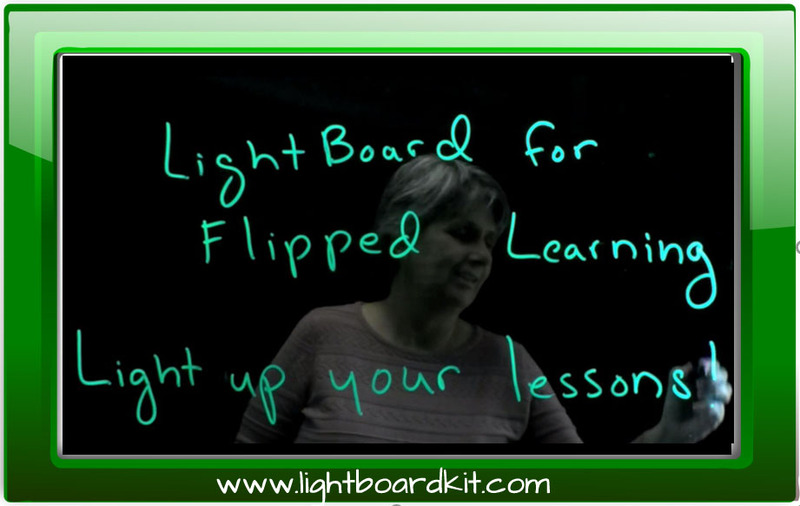 When I taught with my SmartBoard, I used interactive lessons that I created in Notebook software. I have the Notebook app on my iPad but some of the features that I loved using are flash based and therefore will no work through the app. What apps are other teachers using to create lessons that include images, interactive components, & links to websites? Any suggestions would be greatly appreciated. We have all of our classrooms (100+) installed with Apple tv’s and all teachers issued with Ipads. As we originally had IWB installed we meerly fed the apple tv into a spare HDMI port on the projector. So teaching staff could revert to either technology as they please for the time being. We have revised the staff to the fact that if a projector or IWB fails it will be replaced with a 65″ screen as the cost saving over time is a lot better that a projector. The problem with apple tv’s is the amount of traffic they broadcast on the network, once you reside them to their own vlan and a unique ssid for staff and apple tv’s and reduce the broadcast allowances on that vlan you shouldnt get too many problems with them after that. The updates for the devices are making them more and more stable each time which is great. In terms of apps for the ipad the responsibility goes to the teacher of that subject to find the right app for their subject. What the apple tv and tablet device gives you is freedom in the classroom at a much reduced cost. The end evolution of the tablet must be to replace the standard desktop computer with products like office 365 this is closer to becoming reality each day. My vision is in the staffroom their are docking stations for the tablet and a normal sized monitor and keyboard plugged into the dock. The teacher works on cloud givng them full access to resources they would have with a standard pc. this could also be achieved with VDI. When its time to teach the teacher undocks the tablet walks into the classroom and then connects to the apple tv or equvialent device and does the lesson. The cost of the tablet is still a little high but with the competition out there its coming down bit by bit.